Water is often the ‘forgotten’ utility when it comes to seeking cost savings. However, there can be significant opportunities, starting by ensuring that your billing is based on facts rather than assumptions. 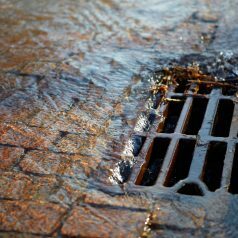 We work as part of a network of specialists, covering water from every angle, including billing, abatements, trade effluent, surface water, leakage and so on. Our experience is that about 1 in 4 water bills is based on incorrect or non-optimised assumptions. 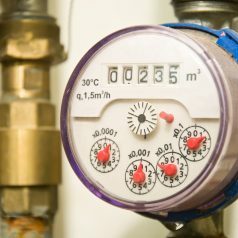 We have an extensive track record of working with clients of all sizes, to help to develop the facts to get water bills straight as well as claiming rebates for historical overcharges. Water audits also often highlight anomalies on site, and we will work with you to address these, leading to yet more savings. 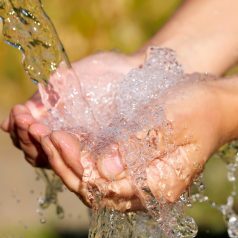 Remember – your water bill is not just for water consumed, but also for water returned to the public sewer (including rainwater), so we look at costs and opportunities from each of these different perspectives. We are so confident in our water auditing and cost-reduction services that our fees are based entirely on success and there are no fees if we don’t find any opportunities. Further to this, we will only claim fees once owed amounts have been recovered to your business. To date, our expert team have helped to find over £5 million of cost savings or rebate opportunities for a range of different types of business. 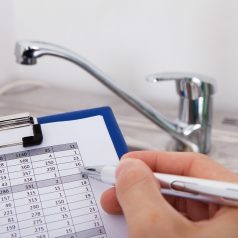 Since the ultimate focus of a water audit is to save costs, the review process always starts at the billing end. This allows us to profile your consumption, relate this to your business activity, and compare this with available benchmarks. For this purpose, we would typically require copies of the last 12-months’ worth of water bills and (if applicable) trade effluent bills. Depending on initial observations we will then develop tailored Questions to discuss. We may also need to liaise with your water provider, for which we will provide a template letter of authority for you to sign. If we don’t think there is scope for cost-savings we will let you know straight away. Our team has the skills to review water costs from every different angle, getting right into the technicalities of surface water dynamics, trade effluent chemistry and evaporation calculations for example. Send us your water bills today for a free, no obligation opinion on opportunities. As part of our monitoring and compliance package we can also offer near real-time, centralised web portal based tracking of your water consumption, which can help you to focus your water saving initiatives as well as letting you know when there’s a problem. Water is a relatively inexpensive commodity until you have a leak. Hot water is additionally expensive, given the energy input to heat it. Your business … how much could you save or recover? As an independent business, we are able to take an innovative and flexible approach to ensure the best possible outcome for our clients. Where necessary, we can tap into our extensive network of partners, recognising that expertise and know-how is all around us but not necessarily all in the same place (if you are a technology or service provider with relevant interests then we would be very happy to have a conversation).